After returning home from my vacation in Cape Cod a few days ago, I am slowly adjusting back to my normal work routine. 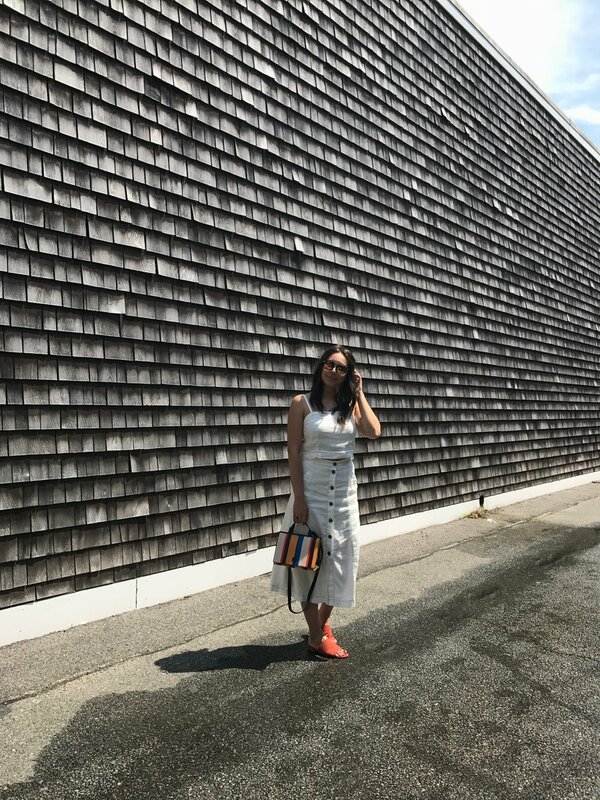 For those of you that didn't follow along on my Instagram travel diary to Massachusetts, I spent a beautiful week exploring every inch of and around Cape Cod. It was my first time in New England, and it was everything I dreamed it would be: gray, wind-worn shaker houses, two-way streets, clear blue ocean water and flowers EVERYWHERE. The small, quaint cities were straight out of a children's fairytale book, and the weather was heavenly. I experienced so much while I was there, and wanted to share a few photos I was able to snap along the way. Below the images, you can shop my outfit details. 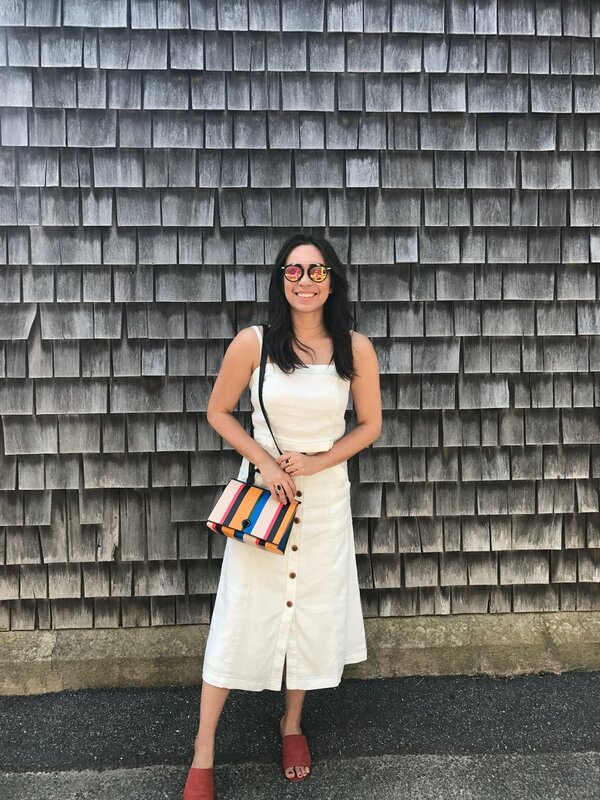 If any of you are traveling to Cape Cod in the near future, please reach out to me and I can give you some recommendations for food or sightseeing! The Impudent Oyster, in Chatham (I'm telling you, this place was beyond amazing), was by far the best seafood meal I've ever had. Try the Coops' Calamari Salad to start and a small cup of Clam Chowder for a side. I'm not even going to bother recommending an entreé to you because I promise whatever you get will be delicision. Yes. It's that good.